Panasonic ES-LT41-K Arc3 Wet Dry Electric Razor Men's is currently selling at $72.00, approximately $0.01 higher than average. With a lowest price of $69.90 and an average of $71.99 it is selling on the high end of its usual range. Price volatility is 0.45% (meaning it does not change often), so you might have to wait a while for the price to drop. Right now this product is a recommended 'ok deal'. 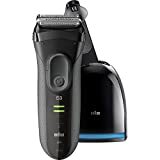 Compare the current price, savings (in dollars & percent) and Buy Ratings for the top Men's Electric Shavers that are closely related to Panasonic ES-LT41-K Arc3 Wet Dry Electric Razor Men's. 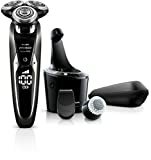 Here is how Panasonic ES-LT41-K Arc3 Wet Dry Electric Razor Men's compares with other leading Men's Electric Shavers. 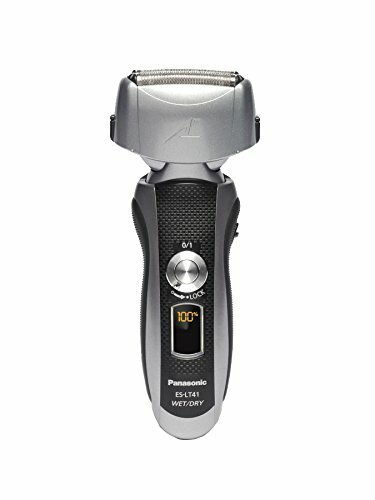 The Panasonic ES-LT41-K Arc3 mens electric razor offers an advanced, high-efficiency three-blade wet dry shaver cutting system for fast, smooth shaving, even on sensitive skin. Each stainless-steel Arc 3 Nanotech blade is sharpened to an ideal 30° edge for exceptional durability and closeness. And the Panasonic shaver's ultra-thin Multi-Fit Arc3 foil and flexible, pivoting action shaver head glide effortlessly along the face, chin and neck for exceptional electric shaver comfort. Together with the peak power and performance of a 13,000 cpm Panasonic Arc 3 linear motor drive, it all adds up to a clean, satisfying shave each and every time. This Arc3 shaving machine is fully waterproof and washable, and designed to perform just as efficiently in the shower using your favorite foam or gel, or used dry anytime. A smart pop-up trimmer in the Panasonic Arc3 body adds the perfect finish and detail to sideburns, mustaches and beards, and the 10-stage LED in the sure-grip handle of the Panasonic electric razor shows battery status and charge indicator. Cleaning your Panasonic Arc 3 is quick and simple. Just rinse the electric razor under running water and let sonic vibration mode remove stubborn gel and stubble, leaving the Arc 3 blades and foil fresh and renewed. The shavers battery charges in one hour to provide peak power for approximately 15 shaves. For shaving and grooming away from home, the Panasonic ES-LT41-K Arc3 electric razor comes with universal voltage, AC adaptor/charger and a travel pouch. Like all Panasonic electric shavers for men, blades and foil should be replaced when dull. FeaturesThe Panasonic Arc3 cordless wet dry men's electric razor features a high-efficiency 3-blade cutting system with ultra-sharp 30° Nanotech blades for a fast, close and smooth shaving experience.ES-LT41-K includes a 13,000 cpm linear motor drive, an ultra-thin Multi-Fit Arc 3 foil and flexible, pivoting shaving head designed to glide effortlessly over face, chin and neck for enhanced electric shaver comfort.Fully waterproof for wet dry shaving convenience, the Panasonic Arc 3 can be used in the shower or over the sink with foam or gel, or dry anytime it's convenient.This wet dry razor is 100% washable, and includes a sonic vibration mode for easy rinsing and cleaning under running water.